A box can be the perfect gift for just about any occasion. 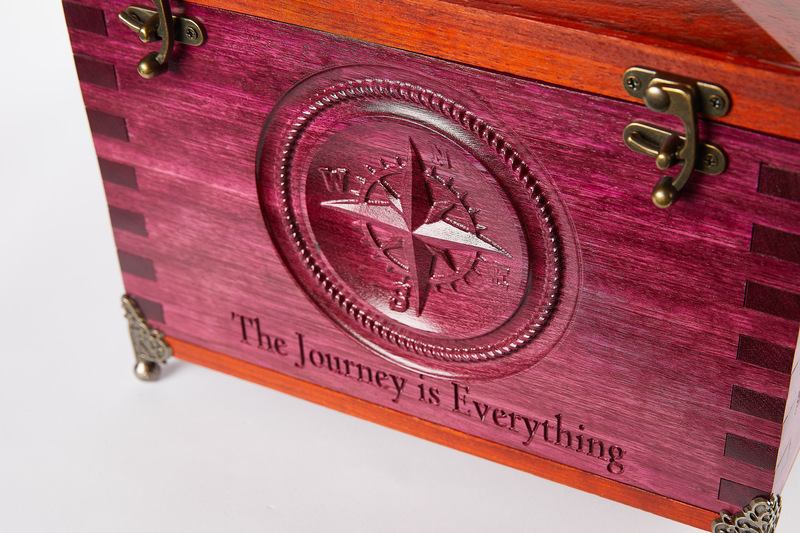 Tyrone sent in this wonderful box, more of an art piece, that he made using inspiration from several different places. 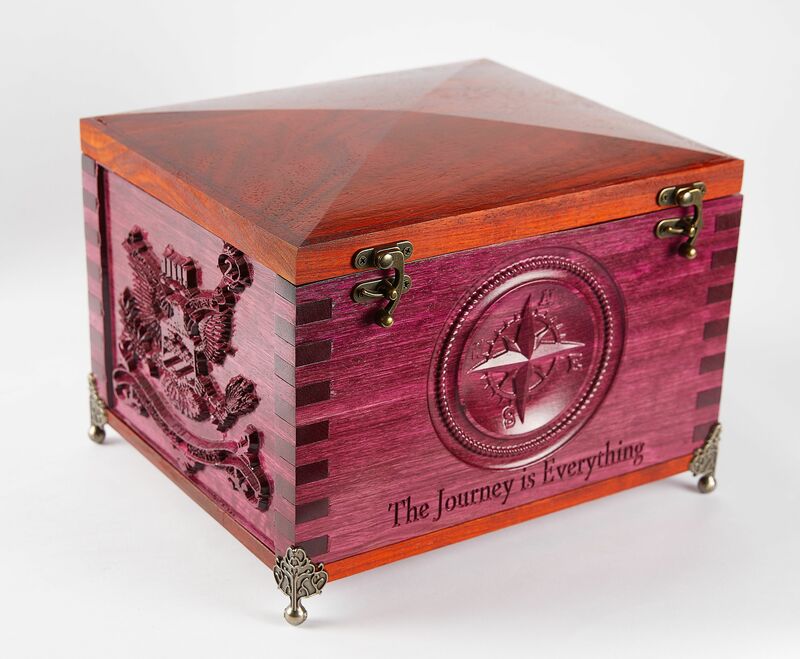 "Inspired by Darren Pfau and also the Gentleman's Box I came up with this retirement present." 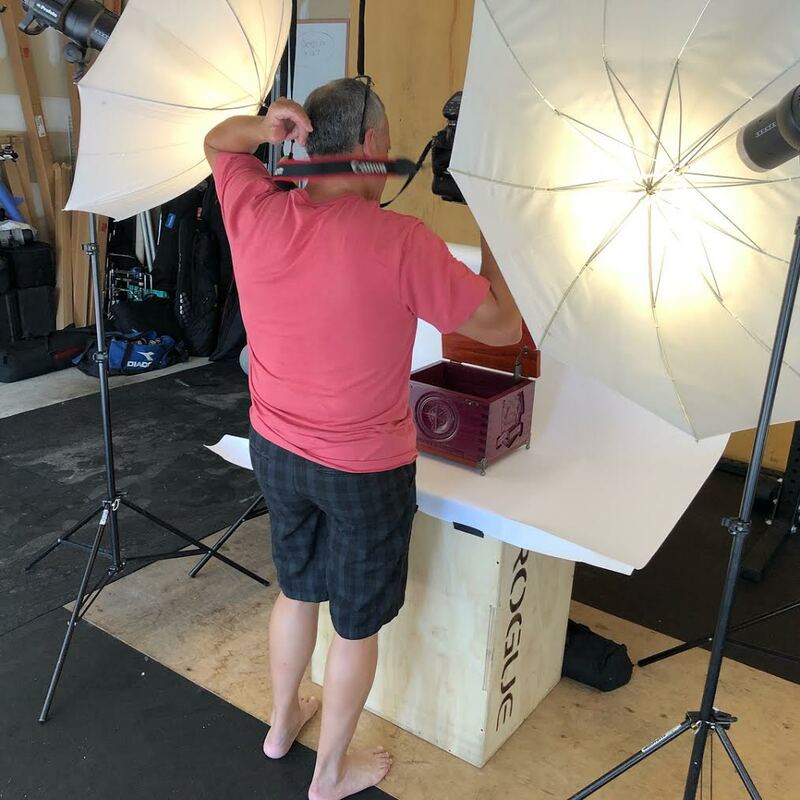 "Inspired by the Design and Make models, the image of the Gentleman’s Box on your website and images you shared of the one Darren Pfau shared. 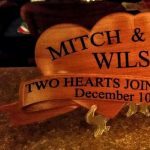 As I first started thinking about the project retirement gift I wanted to make my mind kept coming back to these different items." "The top I used the dome model from aspire and stretched it using a 1/4 inch end mill and 1/8 ballnose. 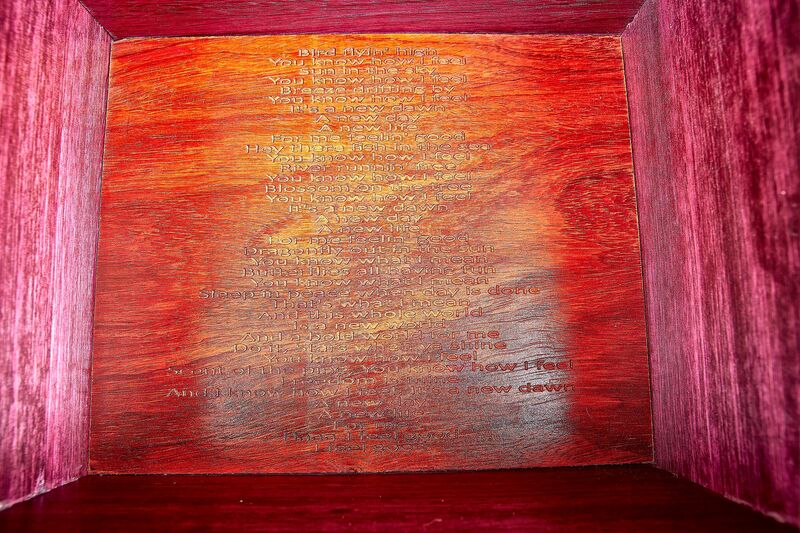 The top and bottom are made of orange Osage. The board I used was 7/8 so I actually glued two together to be able to add more depth to the top." "For three of the sides, I used models from Design and Make. I have to say they are always of great quality and detail. For the fourth side was from a picture I took of a seventh infantry medallion in the person office I made it for. He is very proud of it so I thought it would personalize it a little more. I used the outline in Aspire with some adjustments and that seemed to work. 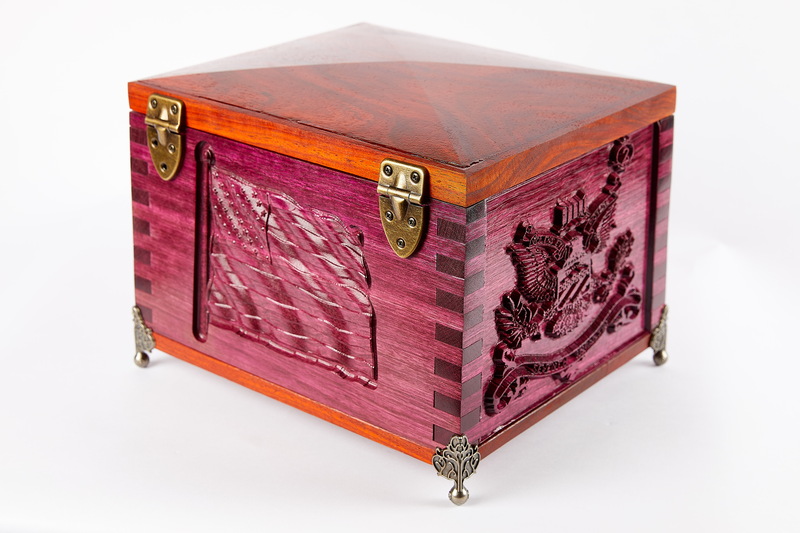 The sides are made of Purple Heart and clear coated. Again for these, I used a 1/4 inch end mill to clear the bulk and the 1/8 inch ballnose"
"The bottom is made of orange Osage also and I notched 1/2 by 7/8 so it could be glued and inset into the box. I actually Vcarved the individuals favorite sound in the bottom of the box and a saying he once told me about in the inside cover from his military days. A little form of respect I thought. The feet and hinges are Highpoint antique brass finish." "I used the Incra Ibox for the first time to do the finger joints. Once set up it made things easier. It gave a little bit more to the visual and higher level of detail." 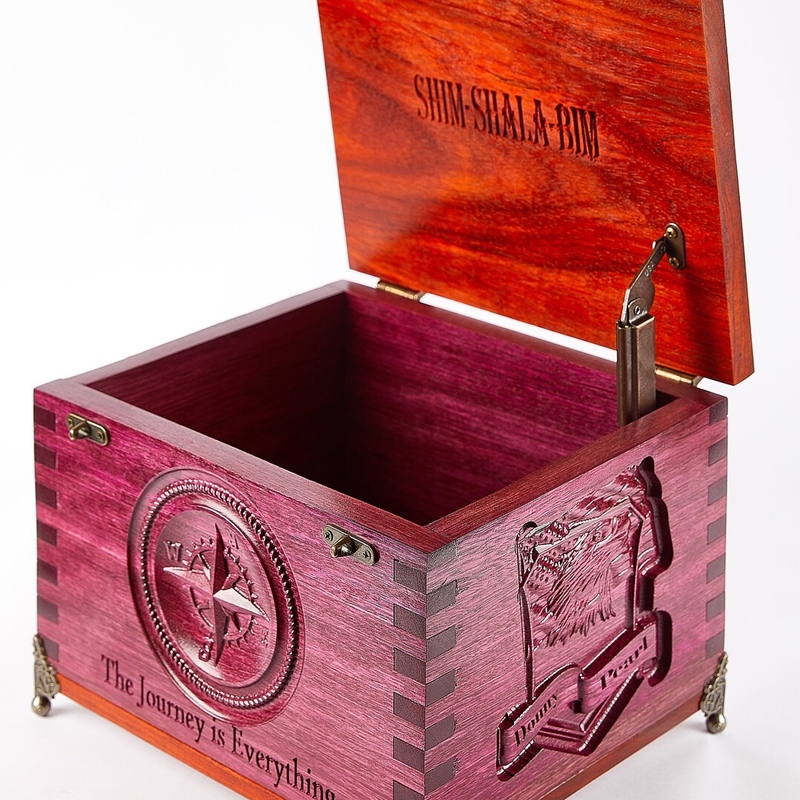 Tyrone, I think it is fair to say that this is a very nice box and is a retirement gift that will be cherished for years! 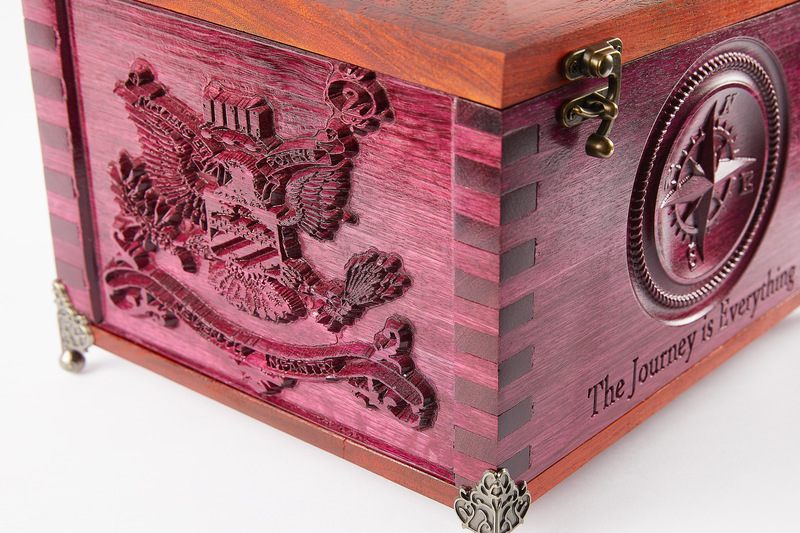 We noticed that Tyrone sent in some pretty nice pictures of his box and asked if photography was a hobby of his. Well, it seems he has a good contact that has the chops to take some pretty sweet pictures that capture all of the fine details. "I have a friend, Randy Monceaux, who is a photographer and when I sent him a picture of it he said you have to let me take some shots to memorialize it for you before you give it away, so he quickly took some shots." Thank you, Tyrone, for taking the time to share your project with us!